Animal Control There is 1 product. 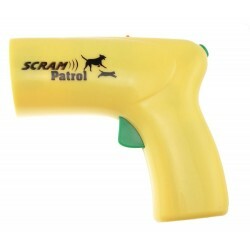 Protect yourself from dangerous dogs with the sonic animal chaser. Produces 25 KHz frequency sound not detectable by the human ear, but very discomforting to animals. Built in laser light for aiming at optimal head/ear area. 90 Day Warranty.